John Eterno has been employed by the New York City Police Department for over 20 years. As Commanding Officer of the Mapping Support Unit, he makes policy recommendations and handles sensitive assignments for the Deputy Commissioner of Strategic Initiatives and the Assistant Commissioner of Programs and Policies. He is an Adjunct Assistant Professor of Sociology at Queens College in New York. He has written book chapters and journal articles on various topics within the field of policing. John Eterno is the author of Policing within the Law: A Case Study of the New York City Police Department and a co-author of The Crime Numbers Game: Management by Manipulation and The Detectives Handbook. One of the earliest statutes of the General Assembly in 1683 was for the relief of the poor. In 1699 a law was passed for the relief of the poor at their homes; and about 1714 the first alms house was built, on the present site of the City Hall. In 1793 a lottery of £10,000 was granted for a new alms house, and the large brick building on the Park near Chambers Street was erected. This building was destroyed by fire in 1854. In 1811, a tract on the East river, at the foot of Twenty-sixth Street, was bought; and the first stone was laid August 1, 1811. The main building at Bellevue Hospital was opened April 22, 1816, as a hospital, penitentiary, and alms house, at a cost of $421,109. The buildings occupied by the alms house stood at Bellevue, on the banks of the East River. The principal building fronted the river. It was a plain stone structure, three stories high, with slated roof. The first stone of the alms house was laid August 1, 1811, and it was opened in the beginning of the year 1816. The inappropriateness of the location of the alms house at Chambers Street soon became manifest, and in 1810 the site at Bellevue, containing between six and seven acres, was purchased and buildings commenced, which was finished and occupied in 1812. The city authorities then agreed to devote the old buildings toward encouraging several enterprises of a public character then recently started, and accordingly appropriated its rooms for their occupancy, and adopted for it the name of New York Institution. A committee of the Common Council which was appointed to consider the subject, reported on February 12, 1816, that "an entire new modification" of the Justices' Courts was desirable. This committee recommended that the city be divided into five districts, of which the Ninth Ward was specified as one. Four Justices were to be appointed by the Council of appointment--a body many of the functions of which are nor vested in the Governor of the State--for the first four districts; the Corporation was to appoint two for the Fifth District or Ninth Ward. All these Justices were to hold court at such times and places as the Corporation might direct, and they were to make a return of all their fees, paying the amount of them monthly to the Chamberlain. Fuel, candles and stationery were to be supplied by the city. According to the book description of The Crime Numbers Game: Management by Manipulation, "In the mid-1990s, the NYPD created a performance management strategy known as Compstat. It consisted of computerized data, crime analysis, and advanced crime mapping coupled with middle management accountability and crime strategy meetings with high-ranking decision makers. While initially credited with a dramatic reduction in crime, questions quickly arose as to the reliability of the data. The Crime Numbers Game: Management by Manipulation brings together the work of two criminologists―one a former NYPD captain―who present the first in-depth empirical analysis of this management system―exposing the truth about crime statistics manipulation in the NYPD and the repercussions suffered by crime victims and those who blew the whistle on this corrupt practice. Presenting a story of police reform gone astray, this book stunningly demonstrates how integrity succumbed to a short-term numbers game, casting a cloud on the department from which we can only hope it will emerge." According to the book description of The Detectives Handbook "details the vital information law enforcement officers need to know to become better detectives. Since all essential aspects of detective work cannot be covered in a single volume, the editors have selected 20 of the most critical issues detectives face in their day-to-day work and present them in separate chapters. Using a unique format and style, this essential handbook draws on the expertise of contributors with police and academic backgrounds to provide both new and seasoned detectives with invaluable insights. It covers a wide range of detective procedures and practices employed in the United States and can be read as a whole or used as a reference for conducting various types of investigations and interrogations. The book highlights common mistakes and outlines best practices to help readers avoid making the same mistakes in the field. It provides the tools and understanding to conduct the range of investigations that todays detectives will most likely have to conduct, including those involving sexual predators, healthcare and financial fraud, cyber crime, gangs, cults, personal violence, and property. The text concludes with a section on all-purpose practices and lessons for investigations. In this section, readers will learn the practical aspects of interviewing and interrogating witnesses, including how to interview and communicate with special populations, such as those with mental and physical disabilities. Sharing the most effective investigative practices and procedures in use today, this book is a must-have for police, sheriffs, and other government agencies that are responsible for protecting the public." 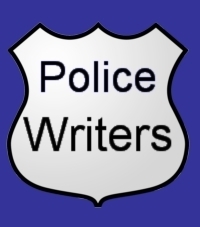 According to the description of Policing within the Law : A Case Study of the New York City Police Department, "at a time when police abuses and errors make the headlines, it is important to understand just what goes into the decisions that police make when they are confronted with various crime scenarios in the line of duty. Required to respond within the law, many officers are able to respond in a legal manner to crime situations in which court decisions are written clearly and with easily applied guidelines. But what happens when those decisions and laws are written in a way that invites interpretation and varies from situation to situation? Based on a case study of New York City police officers, this important volume analyzes how officers contend with often-ambiguous laws in the face of specific crime scenarios. In addition, the author explores other influences on police decision making, including officer characteristics and attitudes, and makes policy recommendations in an effort to encourage the reinforcement of legal guidelines so that the rights of individuals are appropriately balanced with the duty to control crime."